Continue targeting local consumers’ sweet tooth by making and selling Filipino coconut macaroons, which are distinct with their cake-like texture. Here’s its simple recipe. <>If you are familiar with the menu of Goldilocks or Red Ribbon, you should know that these brands sell coconut macaroons. However, if you have meticulous preference, you could be looking for the traditional Filipino coconut macaroons, which can rarely be found in the market. Filipino coconut macaroons are distinct for having cake-like texture. They are also softer and chewier compared to the regular macaroons that are widely available in supermarkets and baked goods stores. For sure, you will never run out of orders for Filipino coconut macaroons if you start a home-based business making and selling those. As you consider many options for your new small business, we recommend taking a look at the tried and tested recipe for Filipino coconut macaroons. No one can easily resist the temptation to indulge in these macaroons, which are crisp and golden on the outside, but moist and chewy inside. 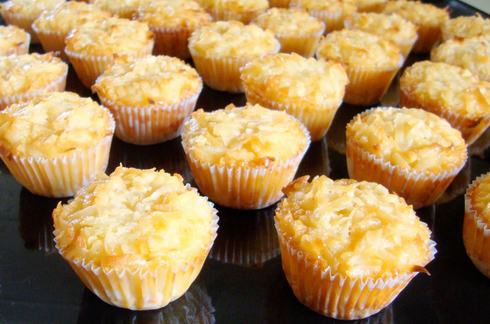 This simple recipe can make up to fur dozens of Filipino coconut macaroons. 1. In a bowl, put butter, add sugar and beat until they are well blended, as indicated by fluffiness. 2. Add an egg and beat continuously. Put the other egg after a few minutes. 3. Pour condensed milk and add vanilla extract into the mixture and continue beating until it is well blended. 4. In another bowl, combine desiccated coconut and flour. Add the first mixture and beat until everything is well combined. 5. 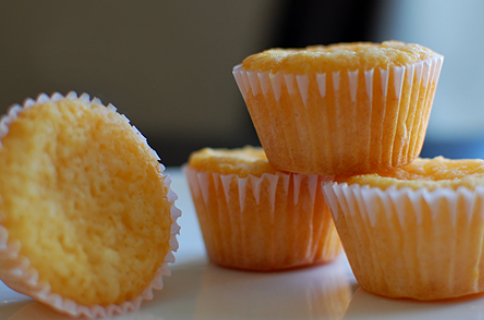 Scoop the mixture into small paper-lined mini muffin pans. Bake in the oven for 350°F for about 20 minutes or until the surface of the macaroons turn golden. 6. After baking, set aside and let cool for about 10 minutes. Your Filipino coconut macaroons are now ready to be boxed and sold to your customers.